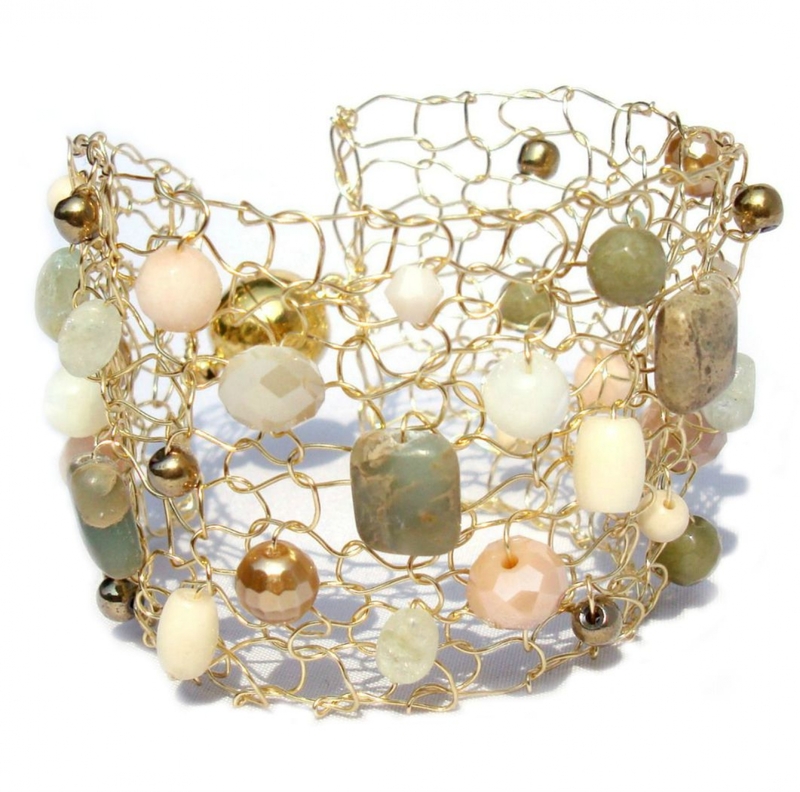 This new bead mix is stunning and contains gorgeous marbled olive agate with peach stone, ivory stone and gold pearls. 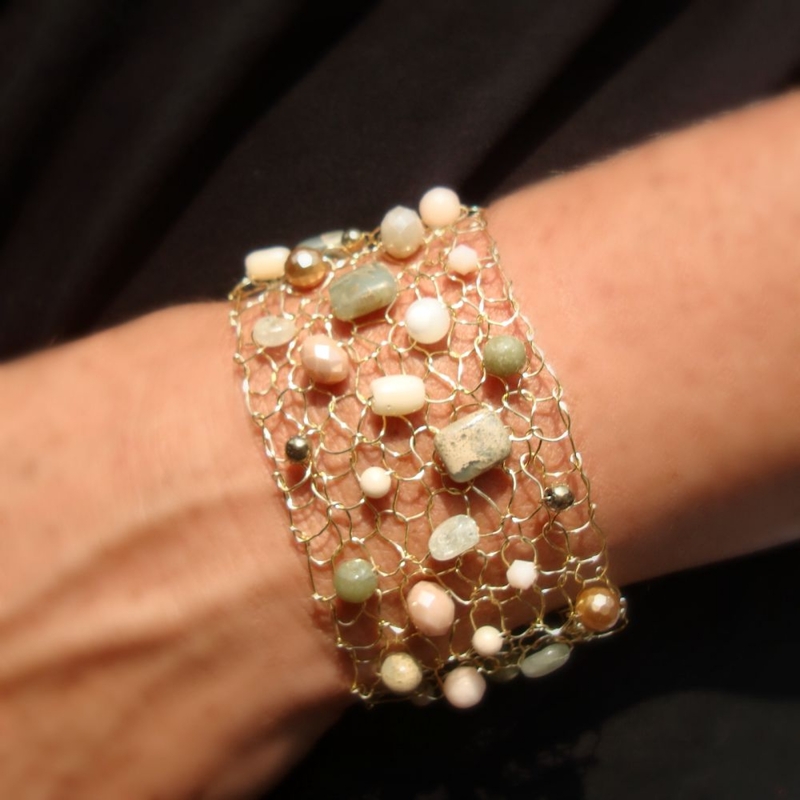 It is hand knit on fine gold plated wire and is sure to make a statement on your arm this Fall! Work those complimentary colors this season and wear this intricate gold cuff with your favorite sweater and jeans or for a fancy date night! Completely versatile and can be worn alone or stacked with other bracelets! It is about 1 1/2" in width and will be knit to the specified wrist length. It fastens with a large strong magnet for convenience. Fell free to ask any questions & thanks for taking a peek!